This year in Nairobi County, Safaricom invited a number of persons with disability from organisations and government departments that have demonstrated inclusiveness and equality, to Michael Joseph centre. A panel of prominent people living with disabilities shared their success on how they made it despite their disabilities. The panel emphasized the need for families to empower children with disability through proper education. 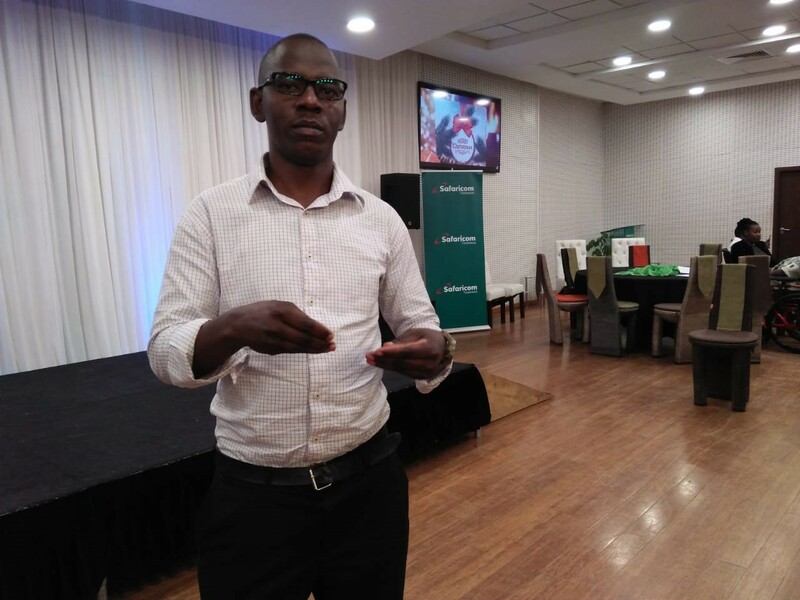 “Give them skills to be people of change in the society,’’ said Dr. Mbugua wa Mungai, a physically challenged lecturer at Kenyatta University. “I got a job when I did not have hope, my disability also came with additional expenses of having a guide, this was factored by my employer, I am happy that my guide is always with me.’’ Said Mrs. Jane Ocharo, a deputy registrar at the high court of Nairobi who is visually impaired. LVCT Health was represented by Joseph Baraza who is a deaf HTS counsellor at our CBD drop in centre. He emphasized the need for PWDs to also know their HIV status. ‘’Kenya’s HIV statistics on the youth, especially young women report an increase in the number of new HIV infections, these statistics include persons with disability. We are vulnerable due to our condition thus not immune. I urge you to know your status this is key to living a healthy life,’ Said Baraza. Baraza joined LVCT Health as a volunteer at a time when the organisation through research had noted a gap in addressing the right information and services to the hearing impaired. He prides himself in helping members of his community access quality information and services at our disability friendly facilities. I am happy to be part of an organisation that has policies in place to cater for us persons with disability,’ he concluded. It is due to such inclusivity and diversity that LVCT Health was recently conferred Employer of the Year Award 2018 – Inclusiveness and Diversity Category by the Federation of Kenya Employees.